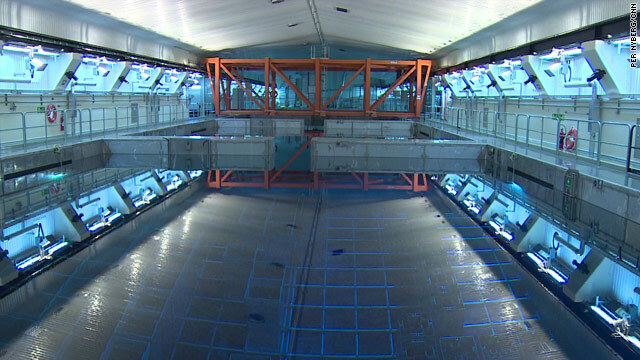 (CNN) -- Like the energy source itself, it's the question that won't go away: what can be done with spent nuclear fuel? The plan is to bury the country's expected 12,000 tons of nuclear waste in corrosion-resistant copper canisters under 500 meters of crystalline bedrock. There it will remain isolated from human contact for at least 100,000 years. The idea, which still needs final approval, was developed by Swedish Nuclear Fuel and Waste Management company (SKB) -- a collective of Sweden's nuclear power companies. After three decades of research, SKB believes that Osthammar in central Sweden is the perfect final resting place for the country's nuclear waste. Not only is the 1.9 billion-year-old bedrock ideal says SKB, but the locals are largely in favor of the plan and it is close to the nuclear power plant at Forsmark. I think the closer you live the less scared you are. The waste has to be stored somewhere, so why not here? I grew up not far from the Forsmark nuclear power plant. In school they took us on tours of the facility and many friends' parents worked at the plant. The region also has a long history of mining and ironworks, so having the nuclear industry as neighbor was nothing strange. "Do you trust the authorities to solve the problem today in your neighborhood, or do you want to wait for a better technology and leave the waste to future generations who did not actually benefit from the nuclear power?" she was asked. However the decision was overturned by a new government and only two reactors were decommissioned. Today Sweden's 10 nuclear reactors produce almost half of the country's electricity. "And we will certainly not do that for the next 100,000 years," Brita Freudenthal, SKB's guide at the facility told me. "The women talk more about the water, if they can eat the berries in the forest, if they can eat the moose they hunt. Men are more interested in the technology, if the canister will be safe. If there is a question, I've heard it," said Saida Laârouchi Engstrom from SKB. "SKB are very good at giving information" Catharina said. "I think the closer you live the less scared you are. The waste has to be stored somewhere, so why not here?" Erik added. "This is a possibility for our nation and our society to solve a very, very difficult problem," he said. The industry's application is now undergoing a thorough review by the Swedish authorities. Mayor Spangenberg has the ultimate right of veto if he is not satisfied with the results. There was another community, Oskarshamn, that also wanted the repository, but SKB's geological surveys showed that the bedrock was much safer near Forsmark. But if the application doesn't go through, or Osthammar doesn't accept the results of the review, what is Sweden going to do with the waste? It's a tricky question that not only this Nordic country has to face.